When using a digital SLR, an important tool to avail yourself of is the Internet, with its unlimited treasure-trove of ideas, showcases for your photos, equipment tests, and suggestions on lenses, and accessories. This list gets you started by introducing ten of the best online resources. 1On Facebook, you’ll find hundreds of other pages dedicated to your favorite photographers, photo topics, specific cameras, and all kinds of special interests. 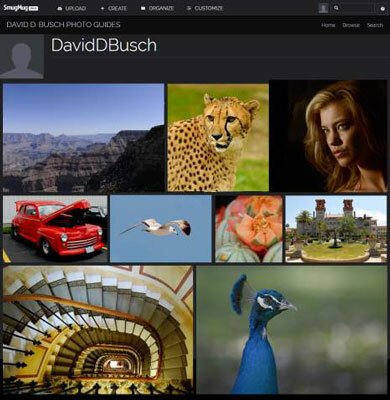 These forums provide lots of valuable information and contact with folks who have photographic passions to match your own. 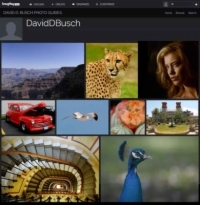 2Google+ is a social networking site with plenty of features of interest to photographers, including ways to upload and maintain albums of photos and share them among friends, colleagues, and the general public. 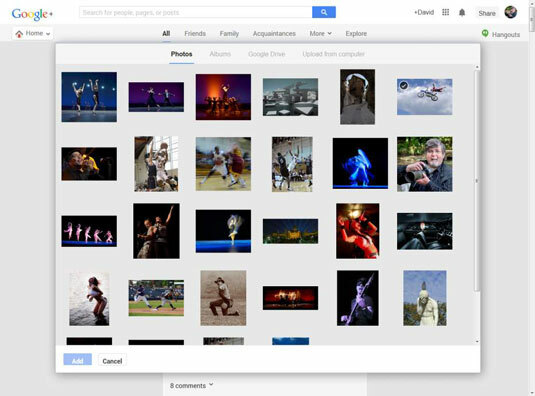 Photo features include the Google+ Creative Kit, an online photo editor derived from the earlier Picasa/Picnik web album capabilities, and other apps that work with both your desktop computer and mobile devices. 3PBase and the similar site SmugMug have become wildly popular for a good reason: Both go well beyond the album sites to provide true online photo galleries — and a lot more besides. PBase is even a terrific information resource. It publishes a magazine compiled entirely from the efforts of members. The premiere issue highlighted the work of two photographers and provided some useful tips on sensor cleaning. 4An incredible free resource is Digital Photography Review (usually called just DPReview). 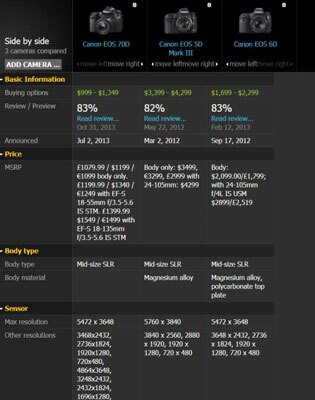 DPReview is a top-notch site for information about any digital SLR camera. 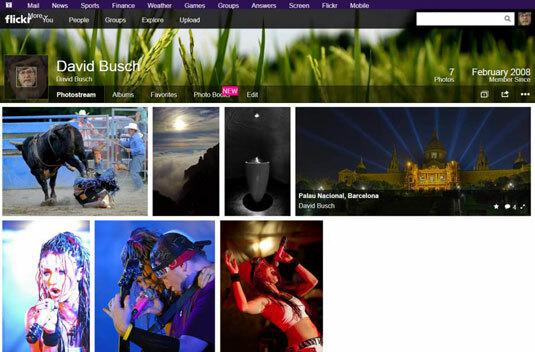 5Flickr is a photo-sharing and photography community site owned by Yahoo!. It offers two types of basic accounts, Free and Ad Free, which both have file size restrictions. 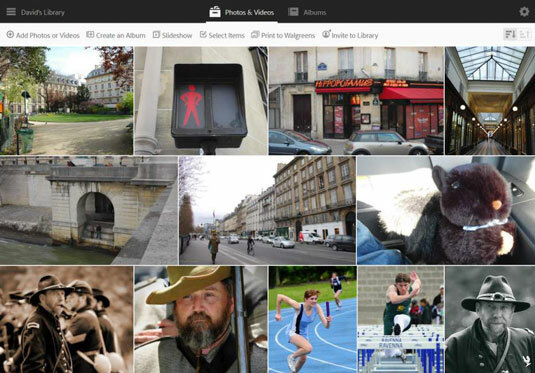 With Flickr you can upload your images and organize them into albums. One photograph can reside in many different albums, so you can segregate all your concert photographs into one album, while still maintaining separate collections by artist, venue, or genre. 6SmugMug is especially popular with professional photographers, who find it to be an excellent site for sharing and marketing their work. 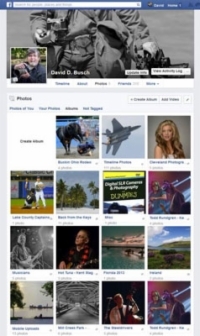 Those who have professional accounts can protect their work with watermarks and sell both prints and digital downloads of their photographs, using pricing that they set themselves. All plans allow you to upload an unlimited number of photos, let you control viewing sizes and the look of your galleries, and include privacy features, such as password access. The Portfolio and Business accounts can be used for marketing photographs and give the photographer access to SmugMug’s printing services, watermarks, and other features. 7Popular Photography magazine has been the most authoritative resource for serious amateur photographers for longer than most DSLR photographers have been alive. The addition of a website as a supplement to the magazine’s coverage and increasing emphasis on digital photography prove that venerable doesn’t have to equal stodgy or old-fashioned. 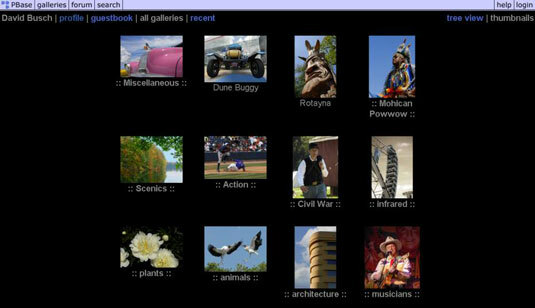 PopPhoto.com remains as up-to-date as the latest digital camera, and most of the time, it’s several steps ahead of the technology in its predictions. 8Adobe Revel is another excellent file-sharing service that’s especially strong for sharing among friends and family, who can all upload to a Group Library that’s accessible to all of them. It’s easy to add comments and captions to photos and to take advantage of online editing tools to enhance individual images. You can access Revel through apps for iOS devices like iPhones, iPods, iPads, Mac OS computers, most Android devices, and Windows 8 tablets and computers. If you don’t want to (or can’t) use an app, Revel can also be accessed from any web browser. 9Zenfolio is another online image showcase that, like SmugMug, includes special features that appeal to advanced photographers and professionals. If you want to market your work and, especially, expect to have prints ordered and delivered from an online storefront, you’ll want to give Zenfolio a try. And trying it out is easy. The company offers a fully functional Zenfolio Premium account for 14 days, with no credit card required. You can design your custom website and get it running before you bite the bullet and switch to a pay-as-you go plan. 10Some of the best showcases for digital photography are the websites of well-known photographers. As always, Google is your friend when it comes to unearthing some especially illuminating sites with stunning portfolios, interesting information, and a good measure of inspiration. Stuck in Customs, for example, is about much more than travel, HDR photography, and outstanding images.